It takes 100,000 signatures to trigger a Parliamentary debate and this one, saying early school starts make pupils "so tired", has gained 180,000. 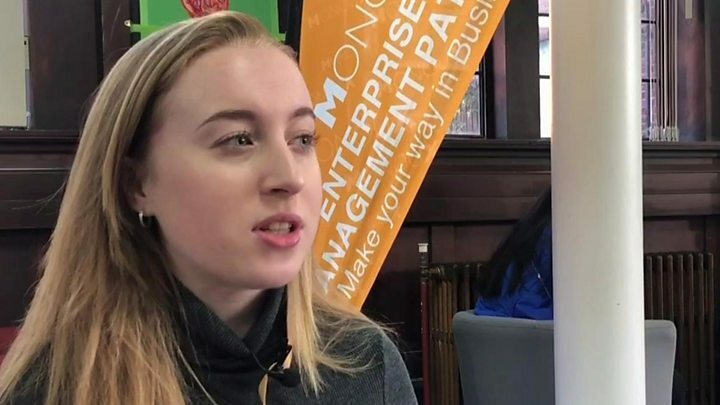 "I remember how miserable I was from waking up early," says sixth form student Leah. "In the mornings of our GCSEs, everyone would be so tired, you could see on their faces that they weren't ready for the exam, they weren't awake enough." College principal David Vasse says: "We noticed instantly we were able to have students coming in brighter. "I definitely think a 10 o'clock start means we don't have a rushed start to the day - there's time to communicate. But he warns: "You only benefit from a 10' o clock start if you do it alongside other strategies to help the students' wellbeing." Mr Vasse made the decision to implement the later school start not only to ensure that students were being taught lessons during their "prime time", but also to create a more social start to the day. "I like it and we have seen achievement rates improve," he says. "I think our students are more motivated." "When I used to go to school earlier, I never used to perform the way I perform now. "It's not down to students being lazy; it's down to improving how students come in to school." Sophia, aged 16, said: "People's brains just work a lot better later on rather than earlier because you have the time to fully wake up and to start functioning better." Prof Russell Foster, director of the Sleep and Circadian Neuroscience Institute at Oxford University, said: "We do not have a full trial that shows a late start would be beneficial in the UK." "Our pilot study showed that about 25% of teenagers had clinically poor sleep - can we justify late starts when it might only benefit 25% of students?" he says. "Instead, we must introduce sleep education with parents, teachers and students. "We are not ruling out a later school start, but we need a good set of data to show this is having a huge impact on adolescents. "Unless later starts are combined with sleep education, it may actually worsen the issue," warns Prof Foster.